Presentasjon av produkter utviklet av Ray & Charles Eames, for Vitra. Produktene er kjente i designverdenen og er presentert i et miljø for å komme til sin fulle rett. Du finner også produkter fra Verner Panton og Ron Arad. Besøk Vitra for flere flotte møbler av blant annet Verner Panton, Ron Aran og Jasper Morrison for å nevne noen. 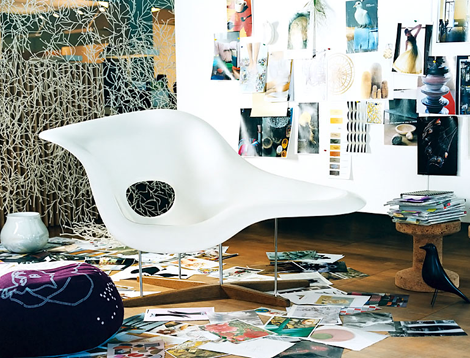 Charles and Ray Eames designed La Chaise in 1948 for a competition at the Museum of Modern Art in New York, inspired by “Floating Figure”, a sculpture by Gaston Lachaise. It is the unbelievable elegance of this assertive seating sculpture that enables any number of sitting and reclining positions, which is so very appealing. 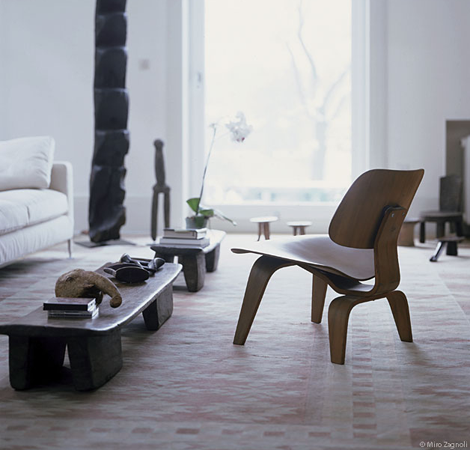 It has long since established itself as an icon of Organic Design. Plastic Armchairs were first presented as part of the famed New York Museum of Modern Art competition, “Low Cost Furniture Design”. Their organically shaped seat shells made of fibreglass-reinforced plastic were later combined with various different bases, such as RAR’s rockers and manufactured in their millions. In their latest version made of polypropylene the Armchairs now offer even greater sitting comfort. 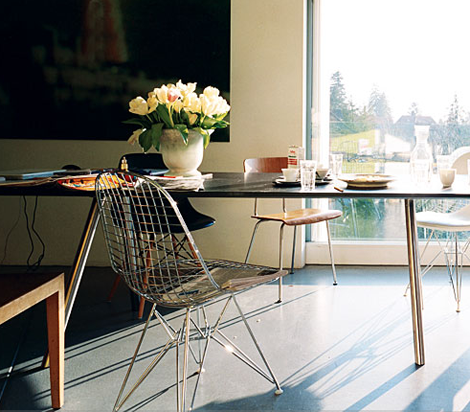 The Eames Wire Chair is a variation on the organically shaped one-piece seat shell, boasting a light transparency and high technicality. The chairs are available without upholstery, or with a single seat cushion or a seat and backrest cushion. Because of its shape, this upholstery is sometimes referred to as a “bikini”. 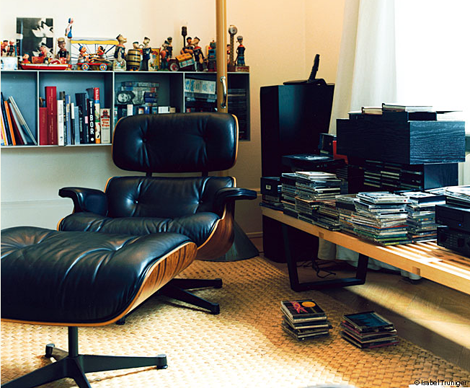 Charles Eames’ declared aim for this chair was to combine the utmost comfort with high-end materials and high-quality finishing. The result: a modern interpretation of the traditional club armchair boasting a convincingly well thought-out construction, right down to its tiniest details. Just as he intended, the chair conveys the impression of a soft, well-used baseball glove, inviting the user to sink back into it.